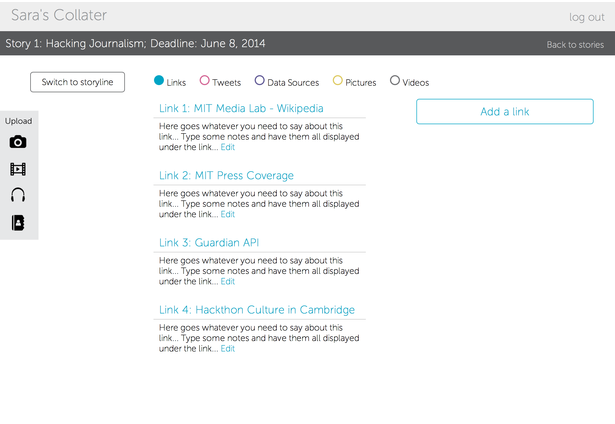 An organizational tool to make journalists' lives easier. 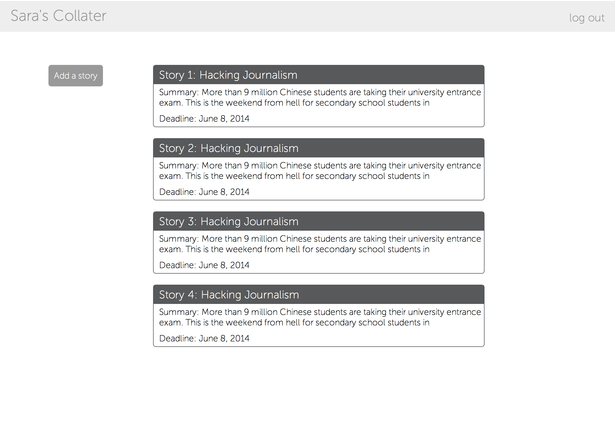 Our target user is a journalist on assignment that wants to organize important documents on the go. The site allows reports to collect information like photos, videos, notes, links and contact information into separate repositories dedicated to the specific stories they are working on. Comments for this submission are closed. 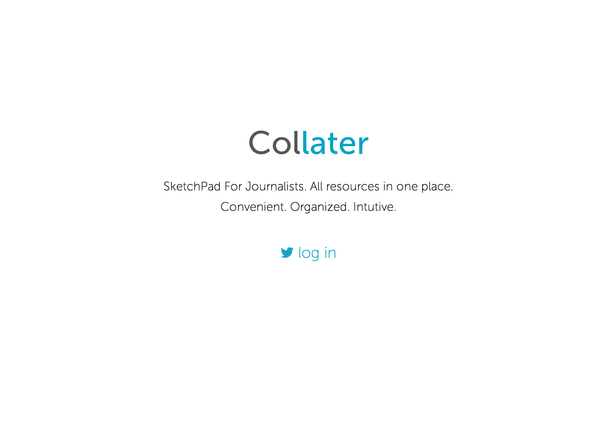 View the software in Collater's portfolio to continue the conversation.